i design interiors, you live, work and play in them. A creative, enthusiastic, high energy level and passionate designer who has a high work ethic and is resourceful with over ten years experience in the design industry. A highly driven and motivated designer who is eager to acquire new skills and open to new challenges. Adapting to changes in the work environment; modifies approach or method to best fit the situation; manages frequent change, delays, or unexpected events in a positive and professional manner. Strengths in building relationships with clientele, trades, suppliers, builders, and realtors. Experienced working with custom home builders and clientele. Proven results in creating a vision from start to finish. An outgoing, confident, and effective communicator with strong interpersonal skills and positive attitude together with a professional approach to problem solving. A self-motivated team player with strong analytical, interpersonal and negotiation skills combined with excellent organizational and leadership skills and administrative abilities relevant to project management. Specialize in high-end residential model suite and design build projects from initial development to project completion. 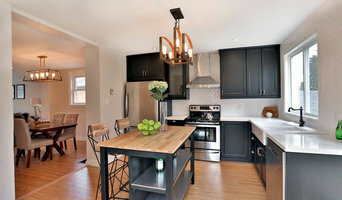 Sontacchi Design provides expert interior design, kitchen & bath design, and e-design services for residential clients. YOUR HOME-YOUR STYLE With over 20 years experience, we can make your home a reflection of who you are. 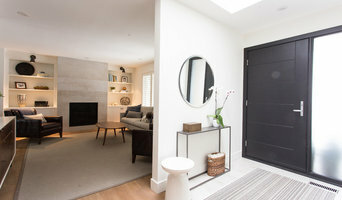 Our goal is to establish a unique and personalized plan, that reflects your taste and lifestyle, while keeping your space functional and affordable. We can provide Trades and oversee design from concept to completion. Direct to Manufacturer shopping for the unique. Reputation, returning clients and word of mouth, say it all. A good home design professional will hone your style down to its very essence and be able to choose a functional layout that feels natural to you. Interior design companies can be involved as much or as little as the client desires. Many clients who hire an interior decorator in Bolton, ON — particularly those who are remodeling — have a good sense of how the room should look and what products they should use. Often clients will insist that interior decorators use the products already present in the house. Other times a designer will need to start from scratch — especially if this is a newly purchased or just-built home. An interior design company will need to figure out exactly what the client needs, which includes organizing rooms, picking flooring and wall colors, and finding furniture to complement it all. Sometimes that means he or she will have to recruit help from other Bolton, ON home professionals to help create the perfect look for your renovation. Here are some related professionals and vendors to complement the work of interior designers & decorators: Architects & Building Designers, General Contractors, Home Builders, Design-Build Firms, Photographers. Do your research before meeting with an interior designer or home decorator in Bolton, ON. Ask yourself what you want your space to become and what it will be used for. Figure out the extent of what you need help with, what your must-haves are and what your budget is. Interior design services can add up fast, so be up front with a potential design firm or individual from the beginning. Also, pick an interior decorator that fits your style. Browse through the portfolios of different Bolton interior design firms and decide if you would live in those houses. Just because you like something doesn’t mean you could live in it. There's a big difference! 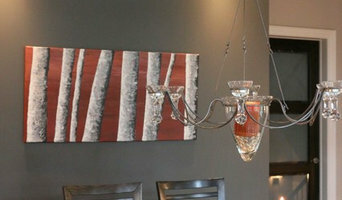 Find an interior designer or home decorator in Bolton, ON on Houzz. Narrow your search in the Professionals section to find Bolton interior designers near you. You can also look through Bolton, ON photos to find a room you like, then contact the design firm who designed it.